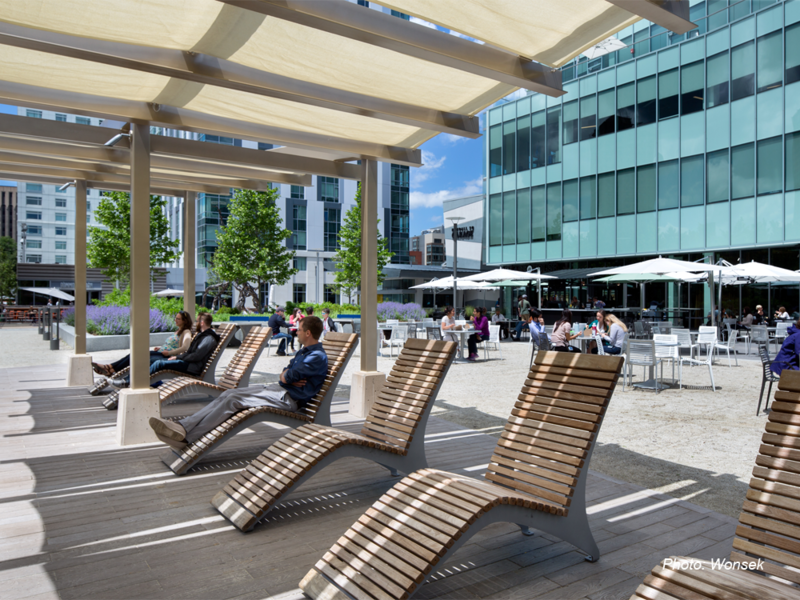 Located in the heart of Kendall Square, between the Broad Canal and a new office/lab building, this privately funded open space is an important element within the planned Kendall Square open space system. Large raised planting beds - one with an amphitheater - define the central plaza. A pergola that shades lounge chairs overlooks the canal. 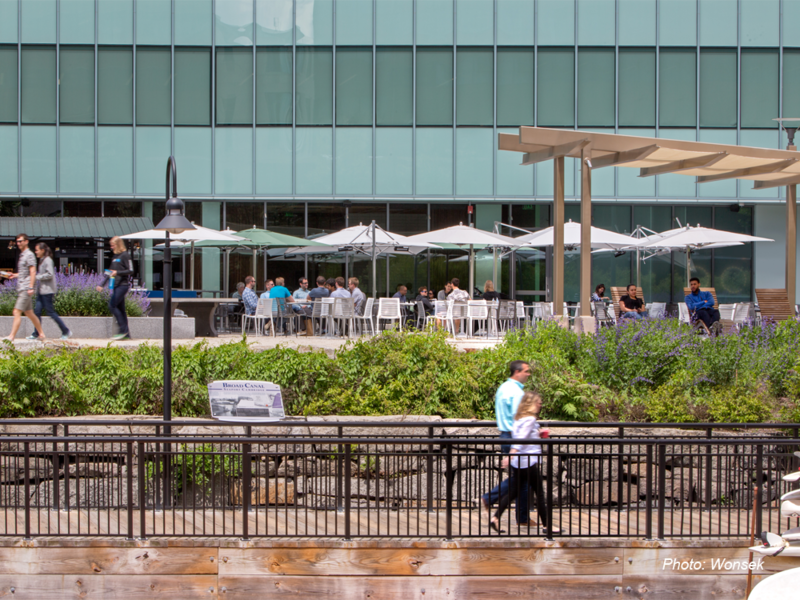 Tables, chairs and umbrellas throughout the site serve an adjacent restaurant and all visitors. People using two new outdoor ping pong tables further animate the space. A specially commissioned sculpture of a neuron pays tribute to the science happening throughout the square. 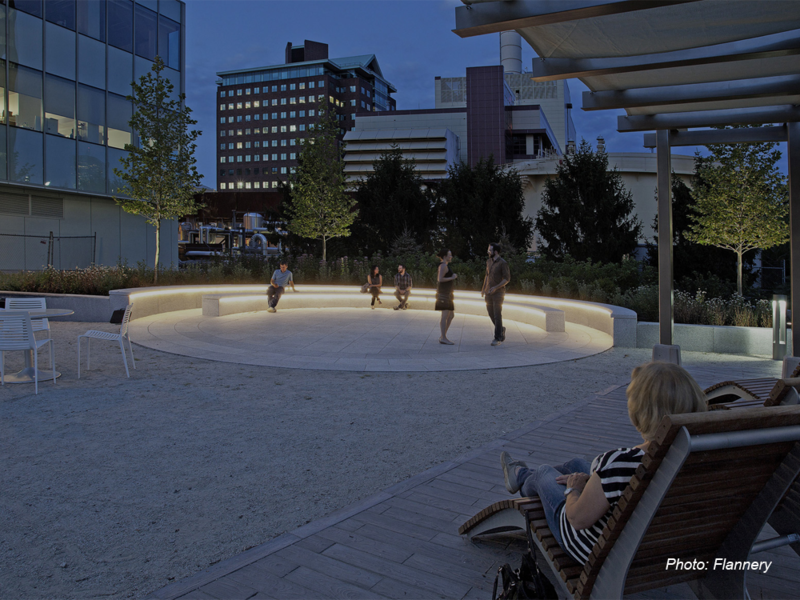 Contemporary post and bollard lights guide the way, while rope lights that were incorporated into the granite amphitheater define the space and make the plaza an attractive evening destination.